Suzy included a Layla tease from Page. YEM included a Mission: Impossible theme tease from Page a Spider-Man theme tease from Mike, and a Mind Left Body jam. 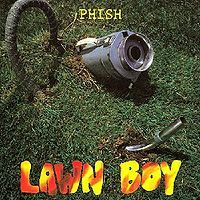 To agree with DFB's thoughtful review of 5/13/94 (my first show), the band were very much firing on all cylinders that night. Before commenting further on the songs and playing, a few words about the venue. Hayden Square is in the middle of an 80's-90's live-work condo complex with an office building and restaurants. Just off the main drag in Tempe, AZ, the actual 'square' is really just the afore-mentioned generic 4-5 story office building flanked on either side by two middle of the road restaurant/bars, both with outdoor patio seating. The 'venue' consisted of temporary wire-fencing opposite the office, connecting the two eateries. In fact, at least one of the restaurants charged $5 entrance into their patio area, as concert was a sell out. The stage consisted of a 20-30 foot paved spot in front of the office, atop maybe half-a-dozen steps that lead down into a grassy bowl area where we stood. I don't remember any fencing or barriers? Bottom line: soul-less venue, but small and mellow. So, the show. 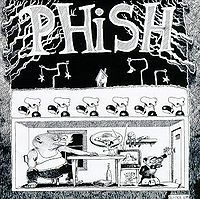 It being my first, I had never heard any Phish music and was, when all said and done, completely 'wowed' by the variety of song type and of course musicianship, and overall dexterity on display. 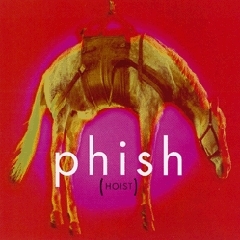 With my 'virgin' ears, the 1st set was effectively my educational orientation to Phish. Runaway dogs? Traffic lights? Friends with knives? Crazy Jewish girls? Oh kayyyy. I couldn't quite get my head around the weird and varied lyrical themes, but I liked it! The 2nd set was where, expectations properly adjusted by the prior set, I really got into the show (and band). My OMG!, or 'aha!' moment occurred during SOAM, with its interweaving, headspining rhythms. This remains one of my favorite versions ever, which I highly recommend. 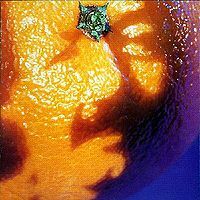 The Purple Rain to Free Bird closing run really cemented my appreciation for this band: vacuum 'vocals' (with Trey on drums! ), into totally killer Zep cover, then sick/silly/OTT (over the top) a capella Skynyrd. These guys were nuts! These guys are nuts! Runaway Jim - fiery, well played opener with excellent Page. Straight forward version, but gets the show off to a good start. Julius - a very early version (they only started playing it in April '94), but it is again, well played, Trey is blistering. The energy level after 3 songs is very high. Mound - great song selection imo. Not really a breather, but after the first 3 songs, the energy at least needed to level off. Well played but nothing jumps out - just a good song in the right slot. If I Could - here again, I give high marks for song selection and placement. Whereas in later years, a "Velvet Sea" or "Joy" like song would have let too much air out of the bubble, If I Could works well in this slot. The jam/piano solo towards the end is almost "Hood" like with an uplifting feel to it. My Friend, My Friend - back to the tension and high energy show. Well played, does the job of keeping the intensity up. Slave To The Traffic Light - I think this version is one of the best out there, seriously. It's got the right balance of power and grace - not too delicate, but enough to offset the incredible peaking crescendo. Suzy Greenberg - no real surprises here - good set closer with the always dependable Page doing a great job. All in all, an excellent, high energy, well played first set with great song selection. 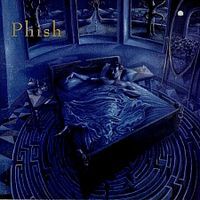 Chalk Dust Torture - what you would expect - serious guitar work from Trey, restocks the energy load to get things going. Bouncing Around The Room - Not my favorite tune, but it's fine here early, on the heals of CDT. Split Open And Melt - I really, really like the placement here early in Set II - wish they would do this more often in 3.0. Like Stash, it's doesn't get out into "type 2" territory, but it's dissonant, electrifying, filled with tension. A great conventional version. McGrupp - I admit to being biased here, because I love McGrupp, but I think this is the perfect slot for a song like this. I don't really call it a breather or let down tune. It's just different and interesting and something like this is needed after that smoking SOAM. Peaches en Regalia - fire it back up! Enough said, except one more nod to careful setlist construction and song placement. Scent of a Mule - no wild antics in the Mule Duel, but it's fun and no downer of a song for sure. 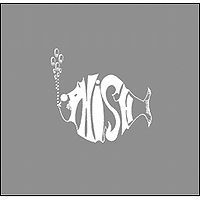 YEM - Similar to Stash and SOAM - well played, decent jam, good bass and drums, (I thought) funny vocal jam. Nothing to write home about, but nothing to be disappointed about either. Purple Rain - Henrietta is always great, and his vocals here are hysterical. Good Times Bad Times - as expected, well played, great set closer - again I wish they'd play this more often as a set closer instead of an encore - I'd take this over "Character Zero" most any day. Free Bird - humorous ending to a great show. This is a real barnburner of a show. Hot hot hot. I'm not a fan that needs Type 2 to be satisfied, and I love this one in spite of the fact that nothing goes to far away from the typical form. They just tear this setlist to shreds. The Split is the big daddy in this show. One of the most ferocious versions you'll ever hear. I kind of equate this one with the Stash from 5/19, another mean monster. This one definitely deserves green letters...can't believe they left it out.